The latest technology allows us to do exactly what we couldn’t do 20 years ago—to control our homes and businesses remotely. Commercial and home automation solutions seem to be the trend these days, enabling companies and homes to become smarter and more practical. One particular aspect of automation that receives plenty of attention these days is security. Given the alarming national crime rate, it makes sense to have a system that can help prevent and record an offense as it happens. This is where Digital Watchdog comes in. 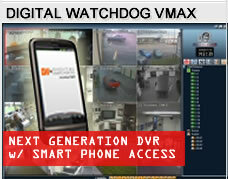 Digital Watchdog is known for its wide range of security products that suit every individual and business need. As one of the pioneers in security solutions, Digital Watchdog has been providing IP security technology to homes and businesses since 1987. 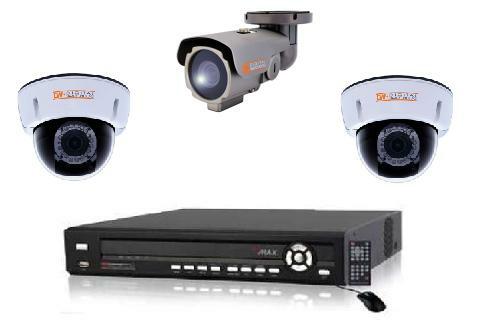 The company produces various security products from cameras and DVRs to network video recorders. Based in the United States with manufacturing and engineering facilities in South Korea, Digital Watchdog uses technology to ensure security. In its camera products series, Digital Watchdog offers a wide variety of features to choose from. The series holds both indoor and outdoor security camera options. The series features indoor dome and vandal proof dome cameras, as well as IP cameras. Each camera in the selection offers high-quality imaging, so you can expect sharp camera images even at low lighting, and comes with the option to control the camera remotely via a sensor. Modern in both design and function, the Digital Watchdog cameras look tasteful no matter where you decide to place them. The DVR products, on the other hand, allow users to record real time audio and video. These high-definition digital recording machines also feature analog and IP camera integration and are designed to run on the latest Microsoft Windows versions. What makes these servers very important to any home or business are their searching and indexing functions. Searching video archives is now so much easier, as compared with the antiquated machines of the past, with DVR machines. Last but not the least in its roster of security equipment is Digital Watchdog’s network video recorders. As an easy-to-use video management solution, each network video recorder are highly scalable and simplified. Like the DVR products, Digital Watchdog’s network video recorders support Windows and Linux systems. Despite the obvious need for optimum security, many individuals and businesses are still apprehensive about purchasing security systems. Although many are concerned about the privacy issues that may arise with the widespread use of CCTVs in both private and public places, there’s no denying the fact that safety should be the foremost priority in any home or business. Security is serious business, and cutting corners is unacceptable especially when safety of life and property is involved. Through closed circuit video storage and monitoring systems, home and business owners can monitor perimeter security and human activity, and even observe traffic. Think of security equipment as investments. These pieces of technology will safeguard you and your business at all times.